The 100th anniversary of the Iolaire tragedy will be remembered in a special commemorative shinty match on the 1st of January 2019. Kinlochshiel Shinty Club will be the opposition as Camanachd Leòdhais honour the 201 men who didn’t make it home on that fateful night. 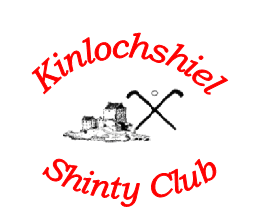 The historical significance of the match lies in the fact that the Iolaire left Kyle of Lochalsh, a town represented by Kinlochshiel, and that many of the Lewis men who served in the Great War were shinty players. The match will take place at 1.30 pm on January the 1st at Bayhead Playing Fields. Spectators are warmly welcomed. Bidh Iomain mar phàirt de thachartasan a’ cuimhneachadh ceud bliadhna bho chall na h-Iolaire. Cluichidh Camanachd Leòdhais geama càirdeil an aghaidh Cheann Loch Seile air a’ chiad là den bhliadhna ùir. Chaidh an geama a chur air adhairt airson togail air ceangalan eachdraidheil co cheangailte ris a’ Chiad Chogaih. B’ e iomain spòrs nan eilean mus do chuir an cogadh às dha anns na sgìrean seo. Chaidh an spòrs a chumail beò sa chòrr den Ghàidhealtachd agus tha e iomchaidh gur e Ceann Loch Seile a tha a’ tighinn a null airson an gheama seo a chluich leis gur ann à Caol Loch Aillse a dh’fhàg an Iolaire. gseach ‘s a tha iad mu cho cudromach sa tha na tachartasann cuimhneachaidh seo dhuinn. Toisichidh an geama aig leth uair an dèidh uair feasgair air a’ chiad latha den Fhaoileach aig Pairce Cheann a’ Bhàigh. Images are reproduced with the kind permission of Dr Hugh Dan MacLennan and the Iolaire Working Group. 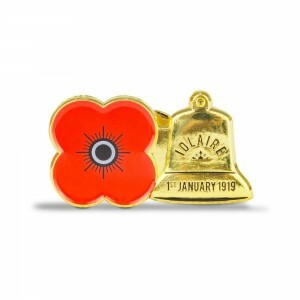 Referee Henry MacInnes will oversee a 2 minute silence before the match starts. The club had some very good news on the representative front this last week. Firstly Al Reed (above) was picked for the Scottish Universities team which will travel to face Irish Universities at NUI Maynooth on 1 December. Al is currently captain of Glasgow University Shinty Club and attending UWS. This is a great honour for Al and the club, as he is only the second Camanachd Leòdhais player to have received this honour. Scott Murray was capped in 2012. Well done Al, we are all very proud of you. The club also receives its strongest representation for a while at Iomain Cholmcille, with Alba calling up 4 Leòdhasach players to join the national Gaelic speakers team. After a strong comeback season Crisdean MacRae joins Alba stalwarts Sean MacLeod and Paul Duke, alongside Stuart “Tyson” Campbell in his debut at this level. Alba travel to Gaoth Dobhair for Iomain Cholmcille XI on the 17th of November. Sean will also be part of the management team alongside GMA (and Uist! )’s Angus MacInnes. Gur math thèid leibh uile! 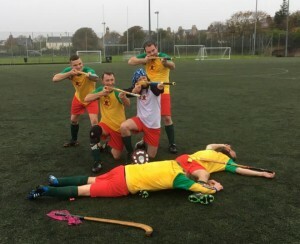 After the 2018 Coinneamh Bliadhnail of Comann Camanachd Leòdhais, held on Tuesday 30th October in Comhairle nan Eilean Siar Offices, Stornoway, the club’s committee retains a familiar look. Annette Murray continues as President and Chair whilst retaining responsibility for child protection. 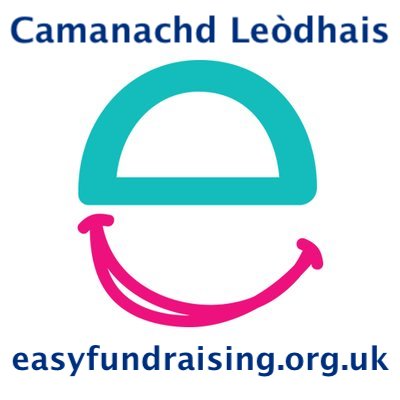 Kenny Macleod continues as Treasurer and Joanne Mitchell as Secretary. Donald Lamont continues as Fixture Secretary. Peter Gomez and Ally Lamont are Committee Members with responsibility for advertising and merchandise. Iain Sinclair (picture below) has been appointed as the Club’s new Chieftain. 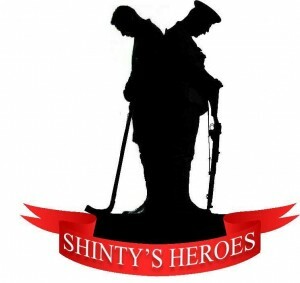 Appointed on a biennial basis, this is an honorary position which recognises a worthy individual’s support for the sport of shinty and the club. Iain has been a manager of the club as well as an enthusiastic volunteer and coach over the years. The club would like to thank David Macdonald who served 7 years as the club’s Chieftain. David now becomes an Honorary Member and Chieftain of the club. After many years of keeping costs static, the Coinneamh Bliadhnail decided to raise the price of Full membership of Camanachd Leòdhais at £50. Junior membership remains at £15 and Non-playing membership at £20. All committee members must be Full members. 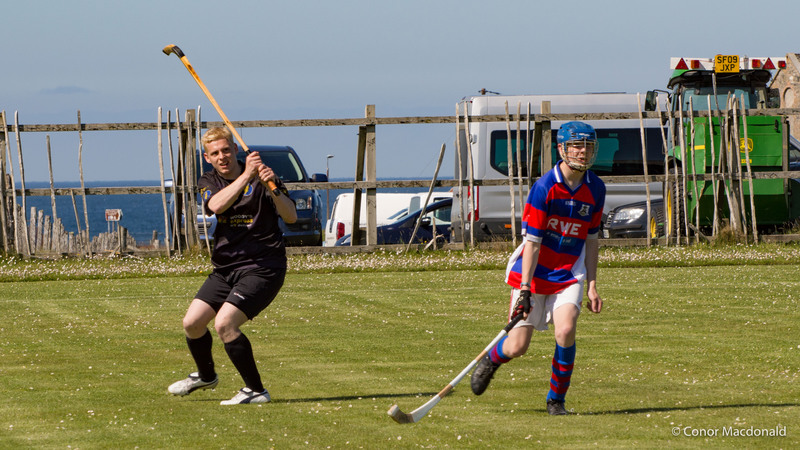 The 2019 Coinneamh Bliadhnail will be held after the close of the 2019 Shinty Season. 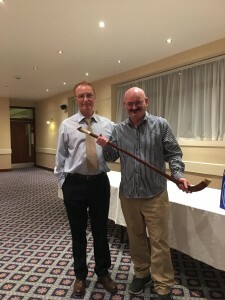 The 2018 Camanachd Leodhais Awards Dinner was held at the Caladh Inn on Friday 13th October. 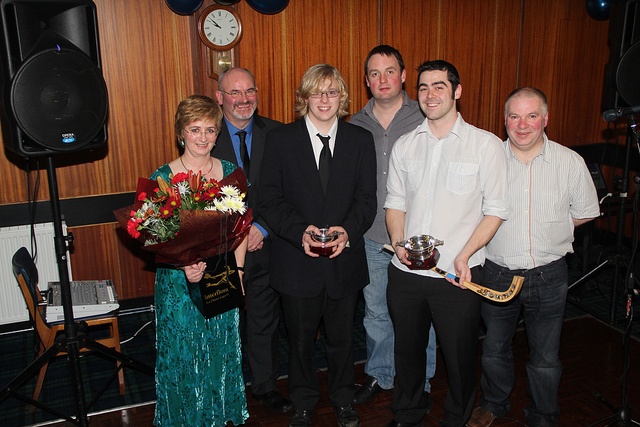 The club awarded its prizes to four worthy winners. Senior Player of the Year was Scott MacLeod. 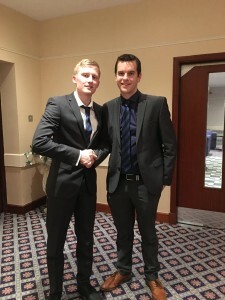 Scott has been a previous Youth Player of the Year on three occasions and has become a key player for the first team over the last few years. 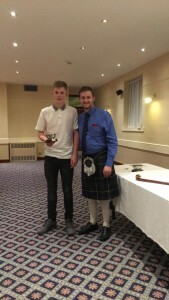 Youth Player of the Year was Callum MacRitchie. Callum has been one of many promising youngsters to break into the Dubh is Gorm first team this year. Callum started the season with a goal against Beauly U14s, but then progressed to scoring his first senior goal against Kilmallie in a home victory, before taking up a midfield role. Peter Gomez chose his Captain’s Player of the Year as Donald Lamont. Donald was the top scorer with 8 goals. He now sits only 5 goals off Will Church’s club record. John MacAskill awarded the Shaw Caman for Manager’s Player of the Year to Ronan Sinclair. 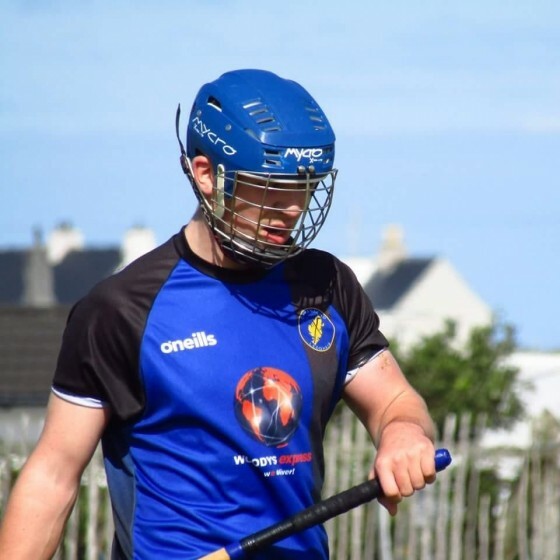 Ronan has fought back from life-threatening illness and has now gone off to University in Edinburgh where he hopes to play through the winter. His father Iain accepted the caman on his behalf. Aiseag an Stròm Aonaichte a’ buannachadh! Stromeferry No Ferry United win Craig’s Sixes! 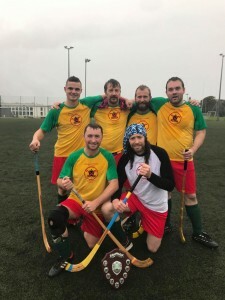 The 2018 Craig Morrison Stornoway Sixes survived the inclement weather and attracted 5 teams for a successful end to the 2018 season and also a great memorial for the late Craig Morrison, who passed away tragically in 2009 when the club was in its infancy. 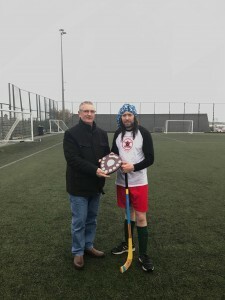 With the competition receiving its eighth running, it was a team tied heavily to the history of the competition that came away with the memorial shield. Stromeferry No Ferry United, a west-coast select run by James and Crisdean MacRae played in the first competition in 2010 and were revived for the 2017 competition. They finished second in the league competition but this put them into the final against Lewis B and a goal from Rannal Finlayson, who was also the joint top scorer in the competition with Donald Lamont, took the prize back across the Minch. 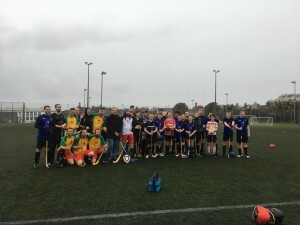 The long threatened Murray Camanachd also made their debut in the competition under the tutelage of West Lothian Shinty’s Andy Murray. Andy and his boys put in a good performance with 1 win, 1 draw and two defeats despite not making it the competition until later on. Thanks for entering a team and we’ll see you next year! All the Lewis youngsters got a great run out and showed that the future of the club is very bright. 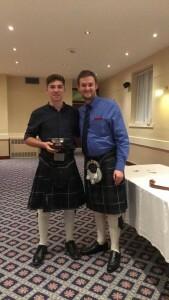 The trophy was presented to winning captain and general shinty legend James “Ach” MacRae by Craig’s father Graham. We hope to see you all next year! Thèid Coinneamh Bliadhnail Comann Camanachd Leòdhais 2018 a chumail aig 6f Dimàirt 30mh An Dàmhair aig Oifisean Chomhairle nan Eilean Siar, Rathad Shanndabhaig Steòrnabhagh. Tha fàilte ron a h-uile neach aig a bheil ùidh ann an spòrs nan Gàidheal ann an Leòdhas agus na Hearadh. The Annual General Meeting 2018 of Comann Camanachd Leòdhais will be held at 6pm on Tuesday 30th October at the Comhairle nan Eilean Siar Offices, Sandwick Road, Stornoway. A warm welcome is extended to anyone with an interest in the sport of the Gael in Lewis and Harris. Expressions of interest in committee positions, with secondment, and motions should be sent to the secretary Joanne Mitchell joanne_mitchell6 [at] sky.com before the 23rd of October. After a difficult 2017, for the club to finish on 14 points and guarantee at least 9th in the table (the late equaliser ensuring Strathglass could not overhaul Lewis on goal difference) whilst also blooding several youngsters is very promising for the future. Thanks to all players, the management team, the committee, the volunteers and the supporters who contributed to the progress this season. Thanks also to all the visiting teams who took the time and effort to play us in Siabost this year, as well as those officials who also made the journey. We will see you all in 2019. With the 2018 season brought to a close below is the final scorer List – Donald Lamont matched his highest ever total for the club from 2016 after drawing a blank in 2017 but there were 37 goals scored by 15 players, many of them in their first season in senior shinty. The club and all connected with it would like to pass on their deepest condolences to our long-serving player Daniel Gallagher on the passing of his father John last week and whose funeral was held on Thursday 27th September. Several club members and players joined Daniel to pay their respects and show their support during this difficult time. The club suffered a 10-2 defeat on Saturday against Cabarfeidh at Castle Leod. Positives were that these types of events have been a much rarer occurence this season, and that the performance against a very good Cabers side saw no lack of hard work and effort from an understrength Dubh is Gorm. It was good to see Innes back after his bad injury in the HebCelt and also of note was that Ally continued his good run in front of goal, and Micheal Macdonald scored his first ever goal for the club after many years of service (all the way back to when the above picture was taken and beyond)! You can read a full report over on the Isles FM Facebook page. Thanks to the station for publishing our reports throughout the season. It’s been a long season, so hopefully the club can finish on a high and take something from our two remaining fixtures, starting with our away fixture to Beauly this Saturday 8th September. One of the great servants of shinty in Lewis and Harris stepped into a well deserved retirement today as Annette Murray retired as headteacher of Stornoway Primary School after many long years of service. Annette has been one of the most important supporters of shinty in the island, promoting and supporting the sport within the school as well as being an important part of Camanachd Leodhais, giving leadership and guidance for almost a decade. She is currently President and Chair of the Club as well as being an Honorary Chieftain, having served as Chieftain between 2010 and 2012. Her family has also contributed vastly to the development of the club; Two of her nephews, Michael and Scott MacLeod have been important players for the club over the years, with Scott continuing to star for the first team. Her late husband, Coinneach was also a great servant to the club, taking photos which remain as an important document of the club’s early league seasons. On an emotional Friday, Annette was given a ceremonial shinty guard of honour as she left the school for the last time today. We wish her well for her retirement from teaching, but look forward to her continuing contribution to the life of our club in the years ahead. 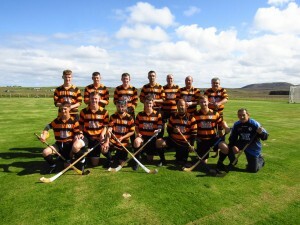 The First Team face Caberfeidh at Castle Leod at 2pm Tomorrow (Sept 1) having had an exciting 3-3 draw in May. This will be our the third last game of the season. 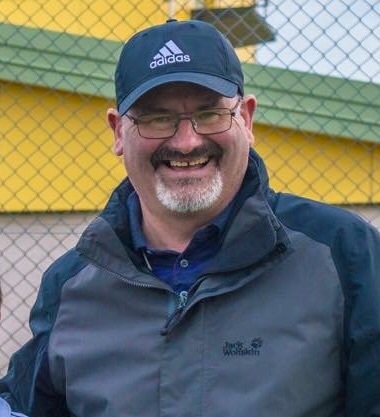 The club also notes with sadness the passing of Skye Camanachd’s Alasdair ‘Ally Morr’ Morrison. Ally had strong Lewis connections as his mother Jesanne is from Garrabost, whilst his partner Anne is heavily involved with our friends Lochcarron Camanachd. 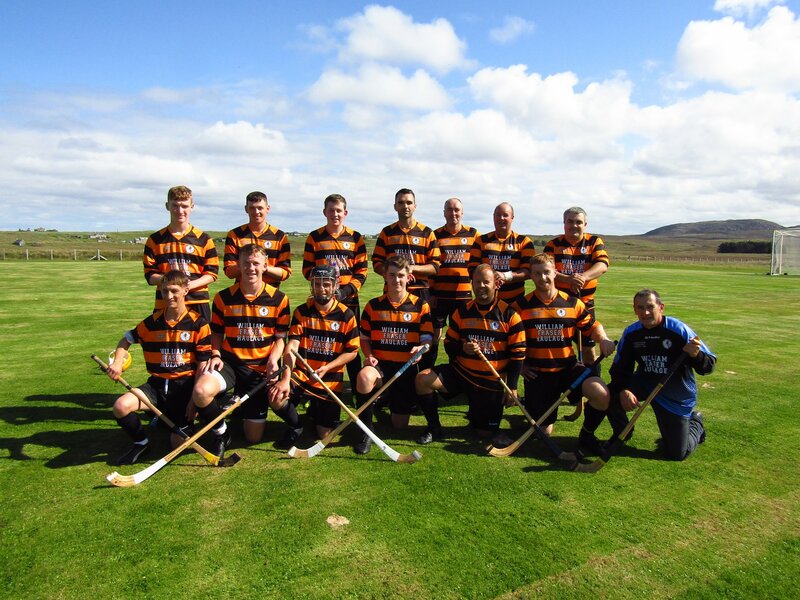 An avid follower of shinty, as well as his local club, Ally managed Skye to the Balliemore Cup in 2008, as well as being manager of the Kyleakin Shinty Club which won the Mod Cup in 2001 against Back Camanachd in Tarbert (see below). The club would like to extend its sympathies to his family and friends at this difficult time. After the disappointment of Inverness failing to fulfil the reversed home fixture the week previously, the club were very happy to welcome Boleskine to Sgoil Shiaboist and bring the home season to a close for 2018. Boleskine are a much changed side this year, and have one of the best young players in Scotland, William “Crossal” MacKinnon in their armoury and the U17 international got Boleskine off to a good start with a 30 yard rocket on 17 minutes. The scores stayed pegged at 1-0 until the hour mark when Stuart MacRae converted a penalty to make it 2-0 and usher in one of the craziest ten minutes seen on the West Side. Scott pulled it back to 2-1 before Stewart MacRitchie popped up almost straight from the throw-up to draw us level. However, the Loch Ness side club restored a one goal advantage to make it 3-2 minutes on the 69th minute through Ross Anderson. It was a tight game until the end when young Mackinnon got his second in injury time to let Boleskine go home with the two points and a 4-2 victory. Thanks to Boleskine for coming over, it was good to see them back after not making the trip the last two years. Thanks to them and all the clubs who made the effort to come over to Shawbost this year. Thanks to Henry MacInnes for refereeing. And last, but not least, thanks to all our supporters for helping make a great atmosphere this season in all weathers. We finish the season with three away games, Caberfeidh next week, Beauly the week after, and on the 22nd the legendary away trip to Kilmallie. All challenging fixtures but hopefully we can take some points along the way to finish off what has already been a very successful season. With the schools now back in session, it’s a good time to remind everyone on what we have on offer in terms of junior shinty. 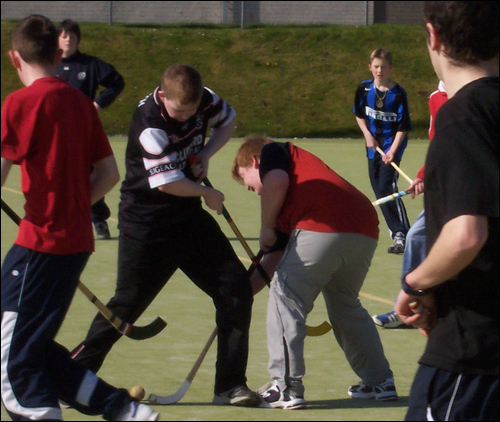 On Fridays, there is a shinty session for all Nicolson Institute pupils at the all weather pitch from 2pm-3pm. Also on Fridays, we have a session for Primary 6 & up at the pitch at Stornoway Primary from 5pm-6pm. Finally, on Saturdays, we have a session for those in Primary 1 – Primary 5. This session takes place from 1pm-2pm & is also at the pitch at Stornoway Primary. 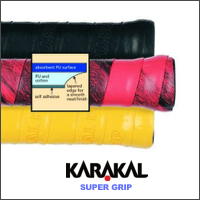 We cater for all levels of experience. So whether they have played before or are a complete novice, they can come along along and get involved.